Living on the south coast, I’m always excited when gins are released in the vague vicinity of SFC HQ, so I’ve followed the story of Dorset Dry Gin, made by Conker Spirit Distillery, with close interest. Conker Dorset Dry is made using a mix of 10 botanicals; from classics such as juniper, coriander, and cassia, to some locally-sourced botanicals, such as elderberries, samphire, and gorse flowers from Dorset. Bottled at 40.0% ABV, the gin is made using British wheat spirit and is proofed with New Forest Spring Water. Having lived there for 20 years, the New Forest is certainly a place close to my heart. Without further ado, here are my tasting notes. Nose: Crisp, luscious leafy notes upfront, followed by a mix of citrus and spice. Light juniper notes then come through, reminiscent of pine needles. Taste: This has a sublime texture: silky smooth and luxurious. There are light coriander notes to start, accompanied by a little sweet citrus. The flavour then moves onto dry, woody spice and a hint of creamy vanilla, before crisp, green leafy notes and a dry finish. Excellent – light and smooth, with gentle leafy notes leading onto a little sweet spice, zesty citrus, and then a dry, juniper finish. Smooth, silky, and very easy to drink. Thick, rich, and smooth, with notes of nutty, earthy spice, invigorating dry citrus, and a touch of soft, vegetal florality. This is a cocktail with a lovely symphony of flavours – tip top. A complex and jammy Negroni with some nutty, biscuity notes, followed by fresh, green flavours and an indulgent bitter-sweet finish. 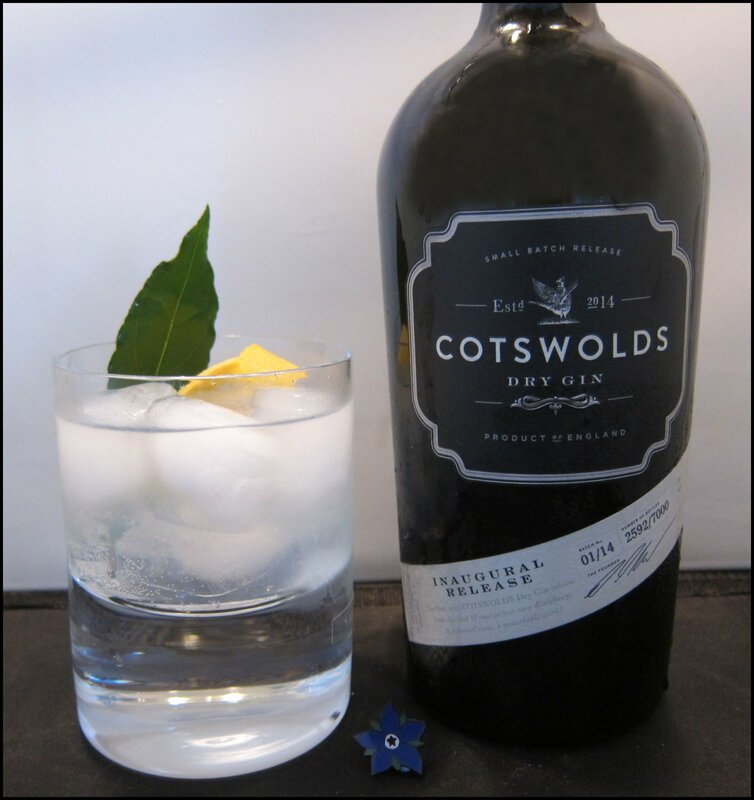 Conker Dorset Dry Gin is a great example of how you can balance terroir with national and international appeal. The gin is bright and tasty enough to appeal to gin drinkers on a global scale, but the notes of elderberries, as well as the leafy herbal notes of gorse and samphire, perfectly captures a flourish of Dorset in the bottle. My favourite drink was the Gin Tonic but it was close as all drinks were excellent. 2014 was a bumper year for the opening of craft distilleries in the UK, but one that made quite a splash when it opened and continues to be talked about today is the Cotswold Distillery in Shipston-on-Stour, Warwickshire. The distillery is in a picturesque setting and shows that the concept of “destination distilling” has really arrived in the UK. * They currently make a gin, are putting new-make spirit in barrels for whisky, and are planning a range of distillery exclusives. Today, I’m taking a look at their gin. A bold dry gin, with juniper up-front followed by an interwoven mix of citrus and coriander. This adds a fresh zest and floral spiciness to the middle of the gin. The spiciness from the coriander then leads to some deeper notes of menthol pepper and hints of hedgerow berries, all mixed in with a floral flourish. The finish is crisp, dry pine and lavender. This is a flavoursome spirit with a clean and smooth base thats leaves you with a gentle glow. The gin changes in two ways when served from the freezer: it is both much more viscous and has louched. The flavours seem to be more focused towards the dry juniper, angelica, and coriander notes, and the more floral and herbal elements, such as bay leaf and lavender, are suppressed a little bit. The finish is very long and dry, with a hint of menthol pepper that’s reminiscent of cubeb or grains of paradise. A pleasantly ethereal looking drink, with wisps of clouds in the liquid that are well complemented by the pink grapefruit and green bay leaf. As a drink, this is a very cooling concoction, with the various botanical aspects of the gin coming through well in an array of herbal and floral notes. The final impression is one of dry, fresh and crisp juniper and citrus. Poured straight from the freezer into a vermouth-rinsed glass, this is visually quite attractive: it is viscous and almost white, like liquid ice. To taste, it is very dry, with fragrant notes and an intriguing piney mix of juniper and lavender, as well as a little citrus and some menthol notes towards the end. A clean Martini: smooth and soft to start, then the alcohol gradually builds, which gives you that wake-up lift that makes Martinis a great first-of-the-evening drink. This cocktail is more subtle than that made using the diamond method and more of the herbal and floral notes come through. Like the Gin & Tonic, this louches (goes cloudy), but, as we’ve already established, this doesn’t matter. I used a 1:5 ratio of gin to soda, so it’s quite a light drink, coming in at about 7% ABV. This makes it a lovely cooler for a sunny summer’s afternoon. Because of the intensity of the botanicals flavours, the gin is not washed out and you can still appreciate its character. Dry, bitter and relatively tart, Any sweetness comes from an interesting dark marmalade note. This makes for a very intense Negroni and the gin stands up well to the other bold flavours. Whilst I really like this drink, I would recommend it to the advanced Negroni drinker – someone that really likes a jolt from their red drink. 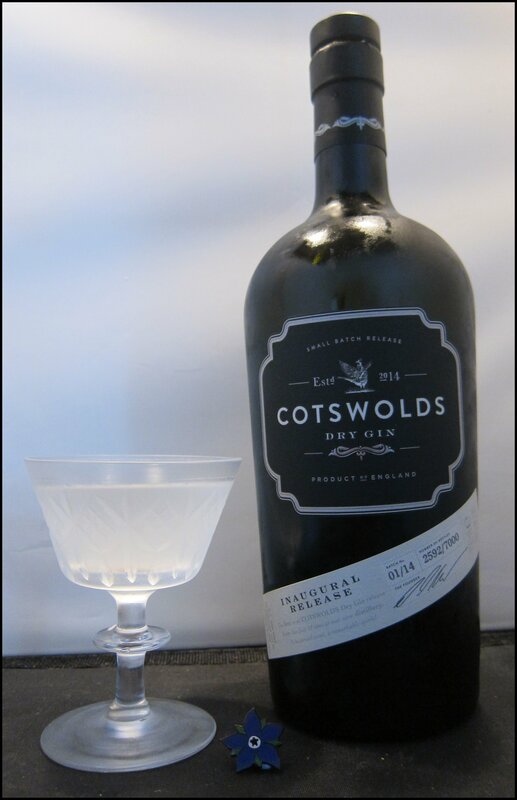 I’ve enjoyed mixing with Cotswolds Gin, with its bold flavours. I think it is good that the distillery embraces the fact that it louches; this actually leads to some additional inspiration and creativity when mixing. My favourite drink was the Gin & Soda, as few gins can make one that has so much flavour.